EU 2006-12-29 ? points ? EU 2016-07-28 £7.19 €7.99 ? 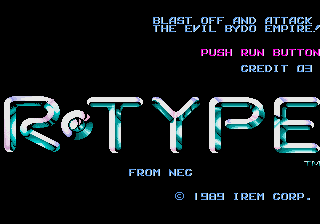 R-Type is a combined version of R-Type I and R-Type II for the TurboGrafx-16. Sega Retro has more information related to R-Type. This page was last modified on 5 January 2019, at 07:18.